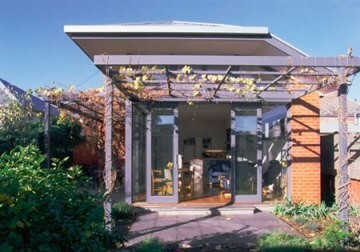 COLORBOND steel roofing solutions are available in a comprehensive range of colours and styles to suit most home designs, including both traditional styles and contemporary designs. Southwell Lifts and Hoists specialises in the supply of Australian made car hoists and vehicle lifts. The new Narrabri Hospital in the Central Tablelands of NSW was recently fitted with a range of Stor-Med medical storage systems, including basket towers, drug safes and Pharmashelves. The English Tapware Company presents a handcrafted range of fireclay sinks made in Italy. Wallmark recently launched Evowall, an innovative new product range of modular wall and fencing panels designed to reduce noise pollution around the home (by as much as 28 decibels). Several products from the JELD-WEN Australia range have been used by contestants of Channel 9’s The Block including doors, windows, mirrors, showerscreens, wardrobes and splashbacks. Coates Hire offers a comprehensive range of traffic management products including the Eagle Eye remote vision and data monitoring devices as well as the Boylan Group BarrierGuard 800 road safety barriers. Sliding doors specialist CS Cavity Sliders presents a range of locksets designed for use in hospitals, aged care facilities, public bathrooms, disabled bathrooms or educational facilities. A crowd-funded initiative called Genre De Vie has produced a documentary about the social effects and the place of the bicycle in the modern city. The carbon tax debate is placing an immediate focus on housing design and energy saving products as people factor in the cost of running a home and using building products that are less energy intensive to produce, said Archicentre.